Whether you have just a single big pore that stubbornly sits on your face, several that pock it, or a whole mess of them that frustrate your complexion, there is a solution and it is simpler than you think. This is great news for women (and men). There was a Harris Poll a few years ago that demonstrated just what wonderful news this is. Apparently more than half of the women out there, at least the ones polled, would give up alcohol, social media, or sweets for a year just to change the appearance of their pores. Oil pores, which support your hairs as well, are also known as hair follicles. These exist everywhere you have skin, except for your palms of your hands and soles of your feet. These are large enough to be seen by the naked eye under examination, and definitely large enough that when looking into an enhanced reflection, are noticeable. These are the pores that are typically referred to as enlarged, or blocked (in the case of blackheads). Sweat pores are on your whole body including the palms of your hands and the soles of your feet. They are very small and cannot be seen without specialized equipment. These are not the pores that you are probably concerned about. Both types of pores serve an important bodily function and it is important that they are open, even though it is safe to minimize their appearance. The pores that you are concerned about allow the oil that is generated in your sebaceous glands to move to the surface where it lubricates and moisturizes the skin. That oil, known as sebum, is your body’s own natural moisturizer. If you were to eliminate your pores or get rid of the sebum it would make your skin worse. However, you also don’t want the sebum production to go in hyperdrive. There are ways that you can help your skin stay healthy and balanced. In addition to moving sebum to your skin’s surface, your pores also serve as a conduit to move dirt, dead skin cells and bacteria out. If your pores were closed entirely this could not happen and you would have serious complexion issues. Pore size is generally a genetic trait; it can also be triggered by skin that is too oily. 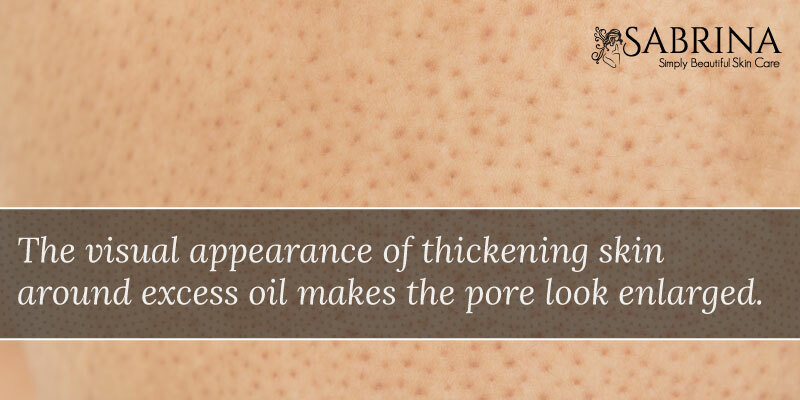 The visual appearance of thickening skin around excess oil makes the pore look enlarged. The same effect can occur when the skin is damaged from the sun and from other environmental factors that contribute to it aging. As the skin is damaged, or ages, it loses its collagen and elastin, which help it to stay tight and firm. As that happens, large pores can look even larger. (Source). Pores can also get bigger when the hair follicle gets clogged. (Source). Makeup won’t cover this up and it tends to exacerbate the issue, adding more dirt into the pore which tends to cause blackheads. The same holds true for skin products that are not balanced for your type of skin. It is important to realize though, that large pores are not a medically dangerous condition even if they are a disturbing aesthetic one. In order to make sure that your pores stay small and your skin beautiful, there are a few things that you should be doing regularly. Cleanse. Cleaning oil and dirt off of your face will help your pores. Most experts agree that you should wash your face twice a day. First when you wake up, to wash away everything that has collected while you slept (usually extra oil). Then at the end of the day, washing away the dirt and sweat that has accumulated along with any makeup you have been wearing. If you have oily skin make sure that the face wash or cleanser you are using does not contain extra oils, as that will only contribute to the problem you are trying to solve. Exfoliate. 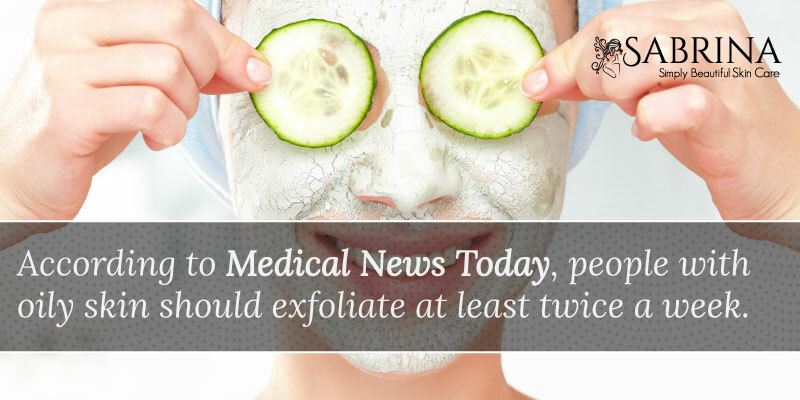 According to Medical News Today, people with oily skin should exfoliate at least twice a week. This will deep clean your skin and help to remove dirt, oil, and dead skin cells from inside of your pores, which diminishes their appearance. If you exfoliate too much, however, you can dry out your skin, which can also lead to the appearance of enlarged pores. Spot Treatments and Natural Masks. Jen Reviews, states that pores on the T-zone, nose, cheek, and forehead tend to be much larger. Treat these areas more often with a mask that can wick out extra oil from congested pores. There are many natural masks that are excellent at reducing pores such as, oatmeal, banana, turmeric, tomatoes, baking soda and more. Click here for a complete list with directions.